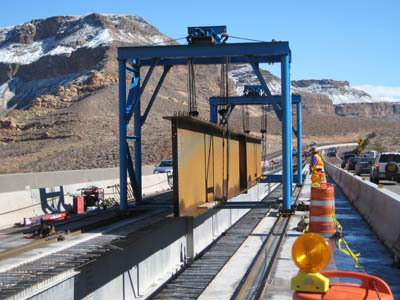 Virgin River Bridge : Adams & Smith, Inc.
Adams & Smith was contracted to add structural steel to strengthen Virgin River Bridge No. 7 by adding two girder lines to the center of the bridge. 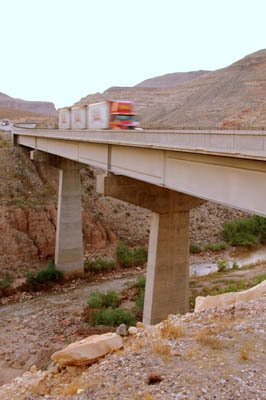 By adding the girder lines the bridge was strengthen and additional redundancy was added. The project was unique in that a traditional crane techniques would not work in the space available. Using a two gantry system Adams & Smith was able to install the additional steel with minimal disruption to traffic flows.